Leaving Ramsey via the A3 Lezayre Road, head West through Sulby and Ballaugh. On leaving Ballaugh take the first left hand turning onto Ballacobb. Continue up this quiet rural lane where Ballacurn Keil House can be found in an elevated position on the right hand side towards the end. The property is approached by a concrete and gravel drive with ample parking and additional turning space. Bespoke over-sized Queen Anne styled entrance door. Two copper night lights. Slate steps. Extensive modern contemporary entrance hall featuring Mandarin Stone solid slate flagged floor, twin walls lights and useful understairs storage. LED downlights with stairs to the first floor and access to all rooms. This large open plan reception area provides a stunning centre piece to the property, is well lit and sublimely finished, providing 180 degree views to the rear and sides over the immediate gardens and farmland beyond. Bi-fold doors and windows open out, bringing the garden inside, providing access onto the private patio to the rear. Additional French doors provide further access to the outside. Wall lights and three bespoke roof lanterns provide a superb amount of natural light into the space. Superb custom designed and hand-built German kitchen comprises a range of timber effect base and cupboard units, with contrasting Silestone worktops, stainless steel double sink and drainer with integral appliances to include, 4-ring Neff induction hob, with stainless steel over-lit extractor, steam oven, coffee machine with twin warming trays, fridge freezer and dishwasher. Hand-built custom fitted cupboards to the side provide significant amount of additional storage within the space. Continuation of the solid slate flagged floor, this double aspect sitting area benefits from superb panoramic views across farmland and out to sea with additional built-in bookshelves and cupboards, television and satellite points. Essential feature is the multi-fuel stove with the back-burner, providing energy for the underfloor heating system and hot water. To the rear of the space there are built-in shelves and cupboards. With a continuation of the solid slate flagged floor. The utility room provides space for built-in washing machine and tumble dryer with a window to the front aspect. Additional storage provides space for the Worcester oil fired central heating boiler and water pump, with communications cupboard at high level. This modern Il Bagno Alessi (by Laufen) comprises a fully tiled wet room with WC, wash hand basin, Hansgrohe fitments, illuminated mirror, heated towel rail, window to the front aspect. Marble flooring. Loft access with twin wall lights. This fabulous large master bedroom suite provides stunning views from both elevations over the garden, countryside and out towards the West coast, Peel and the Mountains of Mourne beyond. The bedroom benefits from additional dressing room and en suite facilities. LED downlights and loft access. Featuring bespoke hand built wardrobe and shelves with LED downlights. A modern fully fitted en suite bathroom comprising Duravit WC and wash hand basin. Large walk-in double Matki shower with glazed shower screen and rainfall head above (separate shower attachment). Marble tiled floor and tiled wall coverings. Heated towel rail. LED spotlights. A good sized dual aspect double bedroom with panoramic countryside and rural views with a feature fireplace and twin wall lights. Good sized dual aspect double bedroom with superb panoramic views and a feature cast iron fireplace. Twin wall lights. Built-in storage cupboards. A modern fully fitted family bathroom comprising a Duravit Stark Cherrywood basin, panelled bath and WC. Heated towel rail, built-in storage, marble floor covering, recessed LED wall lights and illuminated shelf. Good sized double bedroom with triple window overlooking the rear aspect of the property affording superb rural views. Central ceiling light fitting. This useful space provides ample accommodation for a small home office. Window with panoramic views. The property is approached by a well finished and maintained concrete sweeping driveway where following it you arrive onto the gravelled car parking apron and turning area. Immediately benefiting the house are approximately 1 acre of manicured lawns and to the rear of the property a large pond with slate surround. In addition there is slate seating at the private rear patio. Vegetable garden, sheds and log and compost stores. In total the property extends to approximately 10 acres of ring fenced agricultural land. Housing the holding tank and pumps. This original Manx Tholtan has been carefully refurbished to provide additional accommodation to the main house, is double aspect and has a solid slate flagged floor. The open fireplace has been commissioned to take a multi-fuel boiler. There is a feature stone lintel above. Ceiling has been boarded and there is a stable door. Useful lean-to attached to Tholtan offering additional storage. Detached double storey stone barn comprises stone flooring and benefits from a dual aspect, four wall lights, and has a boarded ceiling. Stairs to the first floor mezzanine area (Approx. 19’5 x 14’10) providing additional accommodation within the building. There is a vaulted ceiling with exposed A-frame roof trusses. Separate area for Livestock shelter. The property has mains electricity and a private water supply and drainage. The property is served via oil fired central heating, with additional multi-fuel burners with a back-boiler providing energy for the hot water and underfloor heating system. Cat 5 cabling throughout. Solar panels. 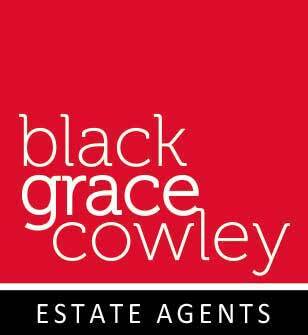 Strictly by appointment through the Sole Agent, Black Grace Cowley.